Jared Leto, Bradley Cooper, Brad Pitt, Leonardo DiCaprio, Chris Hemsworth, Jake Gyllenhaal, Russell Brand — the list of male celebrities not afraid of a little hair elastic keeps growing and growing. 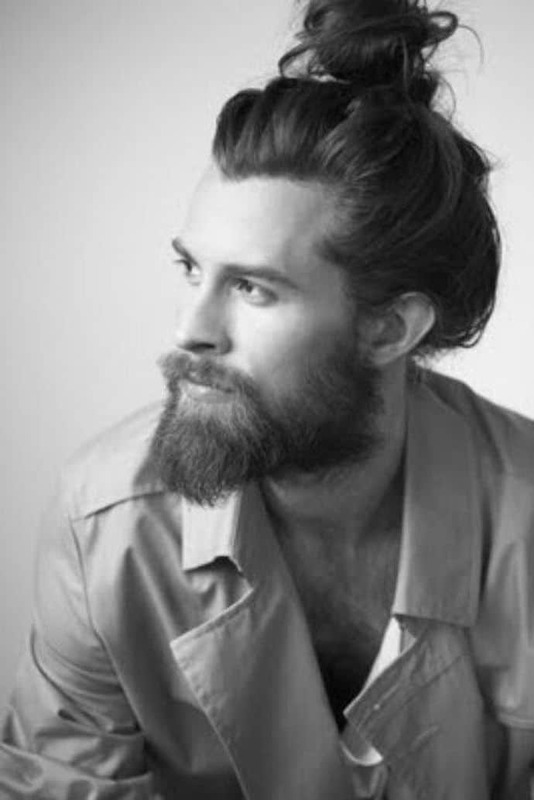 Clearly, the man bun is here to stay, particularly if the lads of Hollywood have anything to do with it. From swirling top knots to small, doubled-over ponytails at the base of the neck, the man bun can take several different forms, and work for hair of a various lengths. And this increasingly popular new hairstyle for guys has spawned many a Tumblr site, hashtag and Buzzfeed article. One Buzzfeed piece even traced the history of the man bun, revealing Buddha to be one of the first icons to sport the style! On social media, one Instagram user has even claimed an entire day of the week – Man Bun Monday – to share photos of guys who put the man in man bun. 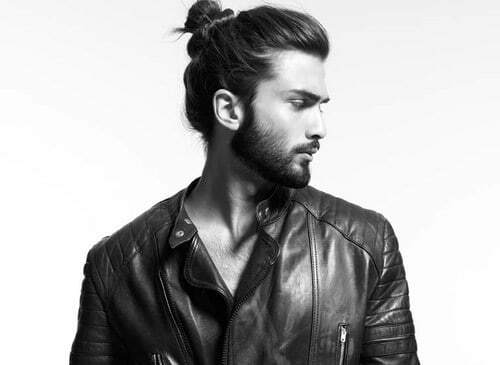 Often the effortless-looking and practical hairstyle is paired with a spectacular beard, an edgy undercut, a smattering of tattoos or just a general air of assuredness, which is keeping the man bun placed firmly in cool guy territory. While we’re becoming increasingly accustomed to seeing man buns on the red carpet, it is less common to see the hairstyle on the big screen. But actor Jake Gyllenhaal made the style a feature of his character in the recent film Nightcrawler. In the film, Gyllenhaal brought to life a desperate, sociopathic man whose personality made him disturbingly good at capturing grisly crime scenes on video and selling the footage to cable news networks. According to the film’s director and screenwriter Dan Gilroy, Gyllenhaal had several ideas about the physicality of his character. It was the actor’s idea to shed almost 30 pounds to make the character of Louis Bloom appear more ghoulish, and it was also his idea to have Bloom tie his up his hair any time he did anything illegal, like sneak into someone’s house to film. “It was a functional thing, (Louis Bloom) didn’t want his hair to get into the way,” says Gilroy. We support man bun wearing gents appearing criminally good looking as opposed to engaging in illegal acts — but this use of the hairstyle as an aspect of a film’s central character does demonstrate just how mainstream the man bun is becoming. At 18|8 we’re stocking up on hair elastics — and thought we’d offer some styling tips for the longer haired guys who would like to give the man bun a try. The man bun should look casual — and achieving an effortless, awesome-looking man bun is even easier if the hair has texture. For fine hair, apply a texturizing or volumizing product into damp hair after washing but before drying. A product that’s light – not too thick or sticky — is best. For hair that’s very curly to begin with, it’s best to straighten it slightly (either with a hair dryer or a hair straightening iron), keeping in some loose wave as the foundation of that “messy” texture. Guys with longer hair should invest in the right tools — they really make all the difference. Longer hair requires a wide-tooth comb, a high-quality hair brush with natural bristles, and some fabric-covered hair bands instead of the classic rubber elastic bands. Avoid towel drying — it is one of the biggest causes of damage to men’s hair when it is kept long. And when using a hairdryer, always leave the hair slightly damp to prevent over-drying. Long hair especially should be trimmed regularly, to remove the split ends and any damaged sections of hair. Ideally it is best to have your hair trimmed every six to eight weeks.